If you suspect your garage door is malfunctioning, do not attempt to fix it yourself as it can be hazardous, especially with a broken garage door spring. Let the professionals at Girard's Garage Door Services do the work. A large variety of problems can cause broken springs in your garage door. The tension in garage door springs can be lost when they are bent or warped, making them ineffective. Even the smallest of garage doors can weigh at least 100lbs, so torsion springs deal with a lot of injuries throughout years of use. You should have a garage door professional perform maintenance on your springs at least once a year. Our technicians at Girard's Garage Door Services are trained to repair torsion and extension springs quickly and efficiently. 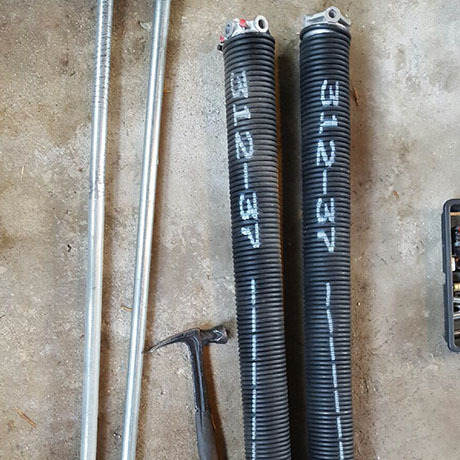 Garage door spring replacement is a hazardous job, and should only be completed by trained professionals because a tremendous amount of torsion is applied to the springs to lift the heavy garage door. The lifespan of most commercially available torsion springs is about 7 - 10 years. Springs can generally cycle up to 10,000 times before they begin to fail, so the more consistently you use your garage door, the sooner they will break. We ensure durable protection for our garage door parts and garage door springs by only using name - brand parts in our repairs. We handle everything and will guide you through the process. 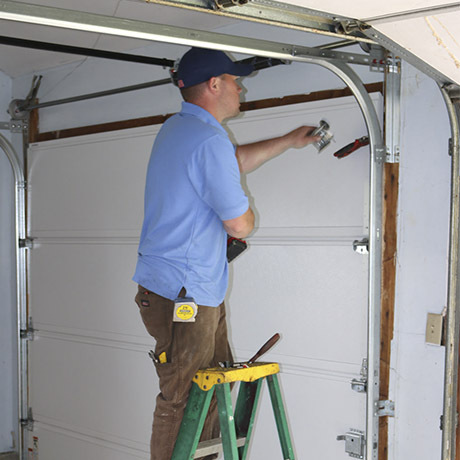 Girard’s Garage Door Services has certified and experienced technicians that service all major brands of garage doors for when your garage door needs repair. We are fully insured, and our dedication to safety doesn't stop there. Our professional technicians take every precaution on the job site to ensure the safety of your garage door and property. We are equipped with same-day service for routine jobs and 24-hour emergency service. We pride ourselves on providing the ultimate customer satisfaction experience. Your garage safety and security is our top priority. We offer free estimates and, when you call, a live person answers the phone! Call today for personalized garage door broken spring repair service on all major brands, and the best warranties in the garage door industry. We'd love to answer any questions you may have. Regardless of the situation, Girard's Garage Door Services will promptly decipher the best route to take to fix your malfunctioning door with affordability and care. We are personally invested in our commitment to provide 24-Hour Emergency Garage Door Repair Service to our customers.